Kumamoto University is one of the universities in the Kumamoto Prefecture of Japan. It is located in the capital city, Kumamoto, and is made up of three main campuses, namely the Oe Campus, the Honjo and Kuhonji Campuses and the Kurokami campus. The Kumamoto University ranking is number 77 in Asia in the University Review List. Similarly ranked colleges include Indian Institute of Technology, Osaka City University, Tokyo Metropolitan University, and Gifu University. Kumamoto University was founded on May 31, 1949 as part of the reformation of the Japanese educational system under the National School Establishment Law. It was established by merging five institutions that were already in existence during the Meiji Era. 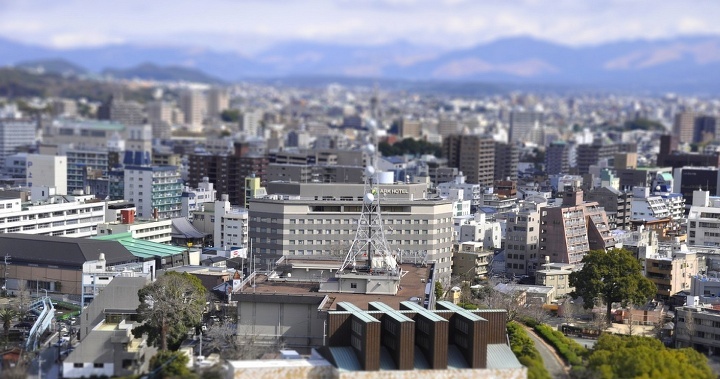 Photograph of Kumamoto City by Kanagen. These institutions were Kumamoto Teachers College, founded in 1874; Kumamoto Pharmaceutical College, founded in 1885; The Fifth High School, founded in 1887; Kumamoto Medical College, founded in 1896; and Kumamoto Technical College, founded in 1897. 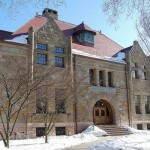 The Fifth High School had the largest number of students, around 1,100, comprising six departments at the university’s establishment. 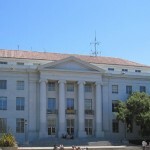 The Graduate School of Medicine, which was established in 1955, was the university’s first graduate school. Since Kumamoto University’s establishment, several facilities and allied schools have been incorporated, including the University Hospital, the Engineering Research Equipment Center, the Center for Educational Research and School Development, the Medicinal Plant Garden, the Center for Multimedia and Information Technologies, the Institute of Resource Development and Analysis, the Cooperative Research Center, the International Student Center, the Shock Wave and Condensed Matter Research Center, the Center for AIDS Research, the Institute of Molecular Embryology and Genetics, he Center for Marine Environment Studies, the Center for Lifelong Learning, the Research Center for Higher Education, the Center for Marine Environment Studies, the Environmental Safety Center as well as a School for Disabled Children, a Junior High School, an Elementary School and a Kindergarten. Due to its age, Kumamoto University has become somewhat a historical and cultural destination in Japan. It houses some popular tourist destinations such as the Akamon, or Red Gate, the Fifth High School Memorial Hall and the Science Experiment Site, all of which have been around since the establishment of the university. The university has 34 cultural clubs and 44 varsity sports clubs, all of which are run entirely by students. It also has student exchange programs which can be availed by students around the world. In 2007, Kumamoto University’s first overseas office was opened in Shanghai, China, with the aim of strengthening its international relations. Kumamoto University is located at: 2-39-1 Kurokami Kumamoto 860-8555 JAPAN. Although the Kumamoto University is ranked outside the top 20 universities in Japan it is still considered to be a leader in innovation and discovery. It is easily inside the top 100 universities in Asia. Of the 10,000 students studying at the institution 450 of them are from overseas (representing 45 different countries). The Examination for Japanese University Admission for International Students needs to be taken in June or November. Application and registration materials are available in November. These should be submitted from late January to early February. If you qualify you will be sent information on sitting the entrance exam in February. The entrance exam is in late February, an results are given in March. If you make the grade then fees should be paid towards the end of March. Enrolment into the university is in April.